Let’s start with Aperture. Set the control dial to “A” mode and turn the control wheel while watching the aperture change in the viewfinder. If you have a kit lens it will most likely by f3.5 at the widest angle of your lens and the widest aperture. You won’t see the changes if you look down the lens on your camera because it only closes down as you take the picture - to make it easier to see through the lens. 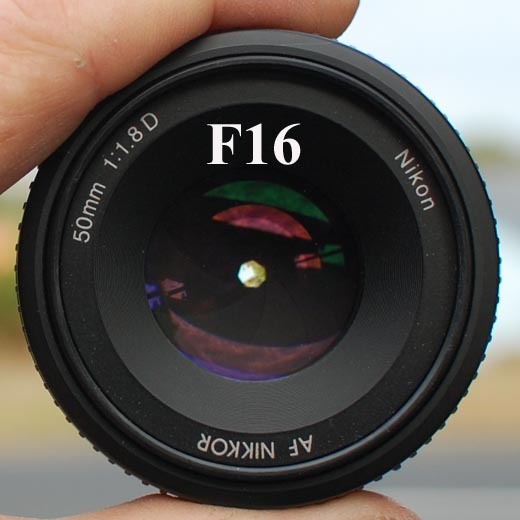 If your camera has a “depth of field preview” button you will notice that when you press it “everything goes dark” if your aperture is set smaller than the widest it can go. 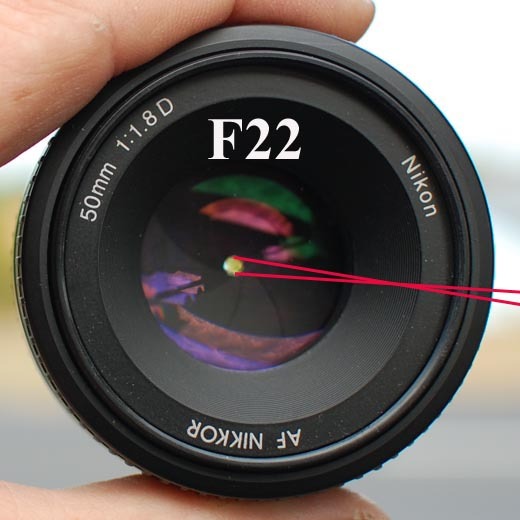 That is because the camera closes the aperture to what you have set it at to show you how much of the image will look “in focus” when the picture is taken. 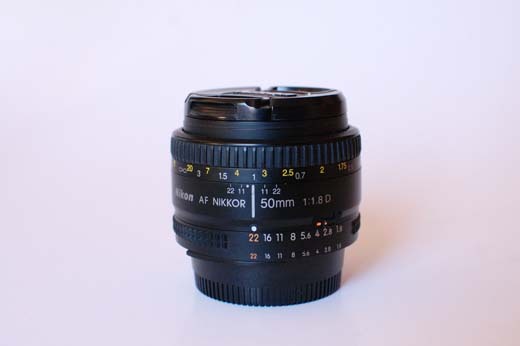 In the pictures below we have a 50mm f1.8 prime lens set at f2. As the aperture is changed manually you can see how the higher numbers restrict the amount of light coming in. 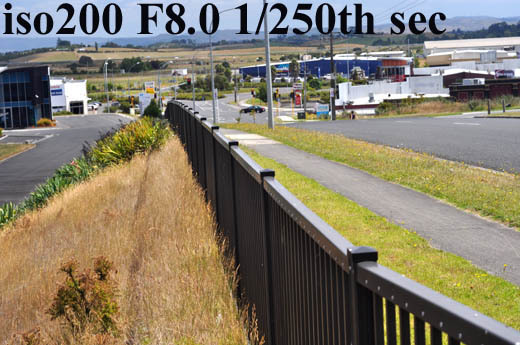 Set your camera to auto iso for now and and find a subject that can show a difference in depth of field, something like a fence. In my samples the iso stays at 200 but as the aperture changes and less light is being let in the shutter speed changes to compensate. 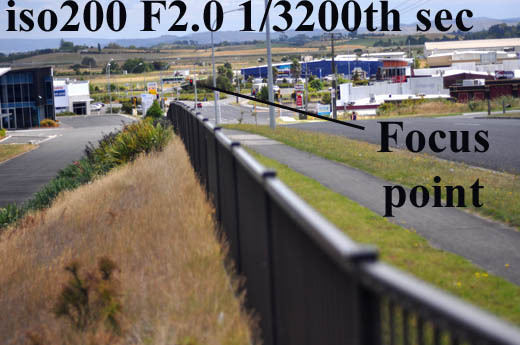 if you can shoot at 1/2000th sec at f2 and change to f2.8 [1 stop “slower”, each “stop” being either twice as much light or half the light, depending which way you go.] the camera has to let the light in for twice as long - 1/1000th compared to 1/2000th. At f4 it chose 1/640th but should have been 1/500th to be precise - no camera meter is perfect and no camera gets it right every time, besides, it was a “patchy cloudy” day so there were slight variations in the light. 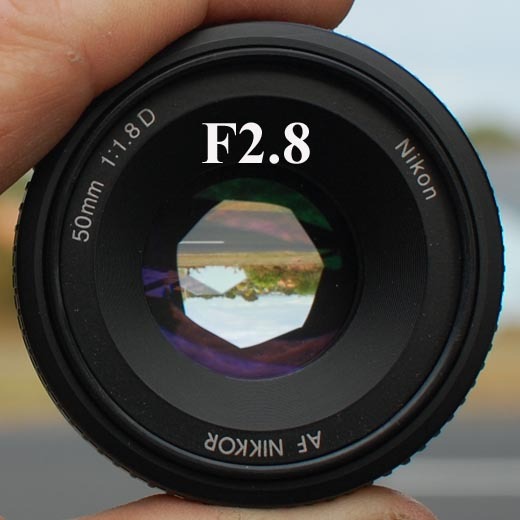 At f5.6 we see 1/250th sec which is spot on - 1/4 the speed of 1/2000th because f5.6 is “two stops” darker than f2.8. Apertures work like “squares” 1, 1.4, 2, 2.8, 4, 5.6, 8, 11, 16, 22. Every second number is doubled. “1, 2, 4, 8, 16….”, “1.4, 2.8, 5.6, 11, 22”. If we start from 1 then 1.4 squared is close to 2, twice the area. 2 squared = 4, twice the area of 1.4 squared. 2.8 Squared is almost 8, half the area of 4 squared [=16]. You don’t have to understand the maths when making adjustments, it’s just good to have an idea what the numbers mean, then you can forget about it and concentrate on making good photos. Now take another set of photos at various apertures focused slightly further into the scene. You will notice that the depth of field still changes quite a bit but not as extreme as when you are focused closer. The lesson? If you want the background ‘more blurred’ get closer to your subject. Notice also the two images shot of the building in the distance - almost no difference between f2 and f16 - this will be explained below. To understand the difference between the depth of field when focused close and far we need to look at a lens. Scroll through the images and watch the difference from infinity, which is quite close to 3m, to the other end of the scale where it is focussed on 0.5m, which is reasonably close to 0.45m on the right, while 0.7m is quite far to the left. There is a lot of movement at the closer distances to change focus over a distance of a few cm. At the infinity mark we only have a small amount of movement to focus on 3m - which gives an idea why when we focus on something in the distance even the background is in focus.